Jailbreaking your iPad or any other iOS device has numerous advantages such as allowing the flexibility to install awesome Cydia tweaks, add customization, and to get Siri to do more like launch apps and turn Bluetooth on and off. But on the flip side there is some can be some stability issues if you just add thing willie-nilly. 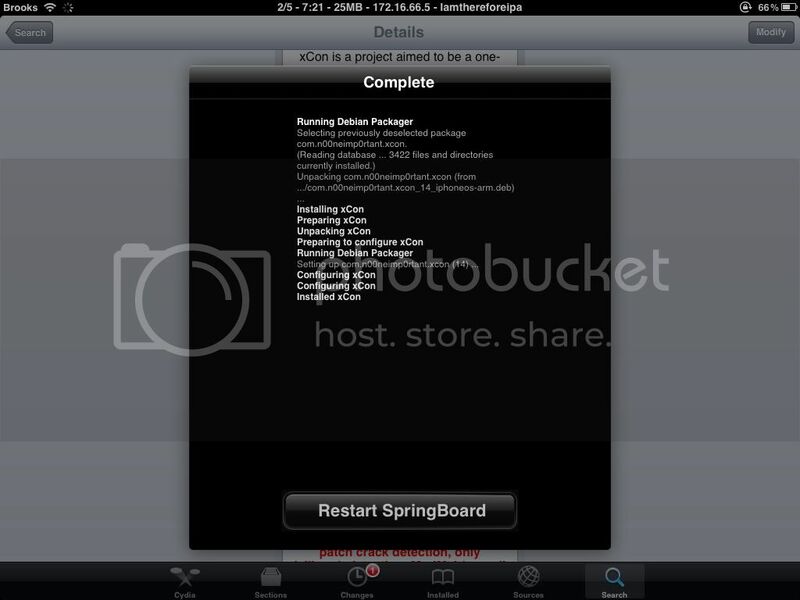 I recommend doing some research before you install any Cydia apps to you device. 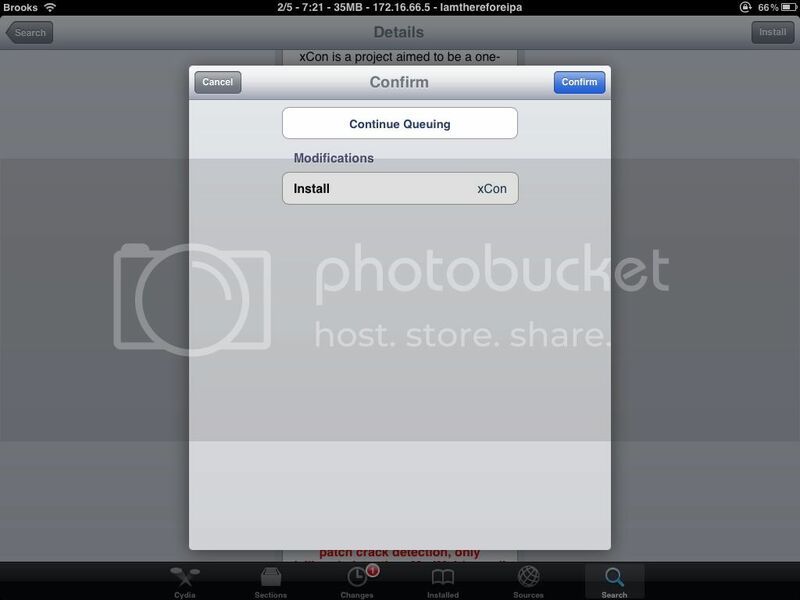 It can be frustrating to load rogue or buggy applications to your iPad. What is even more frustrating is to have a perfectly stable Jailbroken iPad that will not run official AppStore apps, not because the device is unstable but because the developer has chosen to block your device from using the app - just because it is Jailbroken. This is especially frustrating if you paid for an app or paid for the services that app is suppose to allow you to access. There are such apps on the Apple AppStore that will refuse to run if you have a jailbroken iOS device. This can be very frustrating indeed particularly when the device has been jailbroken by the user only for legal purposes and NOT to do things like installing cracked/illegal apps from third-party sources. 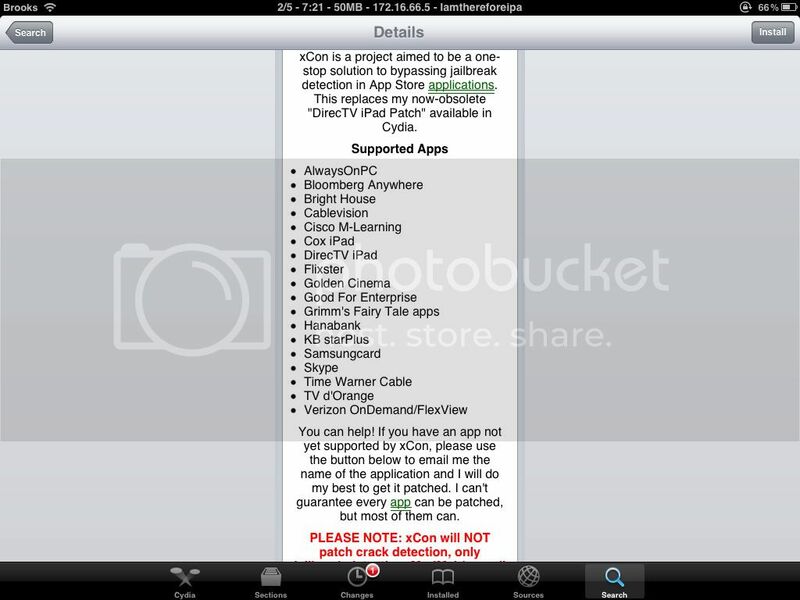 If you are in such a situation then you may not to need to worry anymore as there is Cydia Tweak called XCon that is available which will allows your iPad to bypass or unblock the jailbreak detection that these AppStore apps use. Please note that this is a jailbreak unblocker but NOT a crack detection application for the iOS devices as noted by the developer as well! 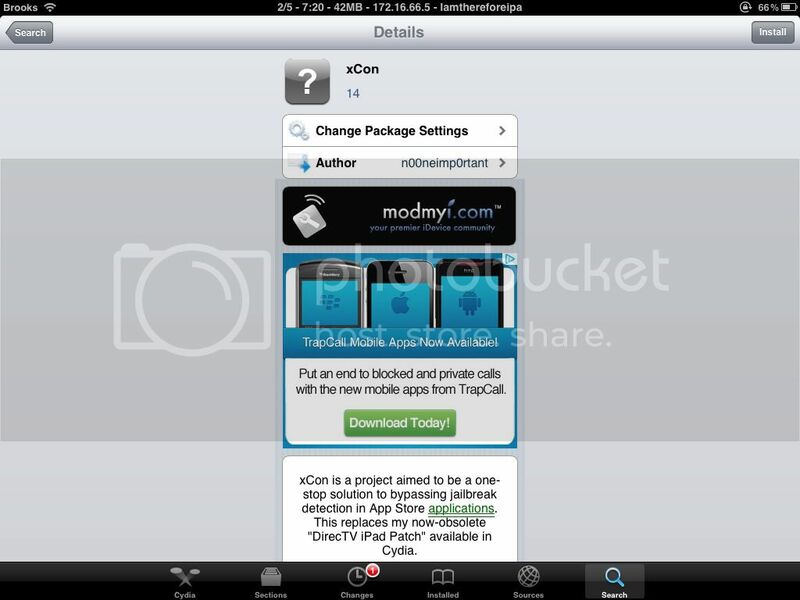 XCon Cydia App is available for free from ModMyi repo. The present list covers most of the widely used anti-jailbreak apps on the App Store, but nevertheless, seems a bit limited. The developer of xCon has requested users to contact him if they want more apps added to the supported list, and so we might see the list grow soon. I tested the tweak for the BrightHouse TV app, and sure enough, the tweak worked (as you can see in the screenshots below). As mentioned earlier, the tweak is free, and if you want to use any of the above mentioned apps, just head to the Cydia store and get xCon from the ModMyi repo. Here is my experience with the xCon app with the BrightHouse Network TV app. Imagine my disappointment when I fired up the BrightHouse Network TV app and was greeted with this screen. I was like, "Are you Serious!". What H-E double hockey stick does having a Jailbreak broken iPad have to do with watching TV programming that I paid a monthly fee for? Why would BrightHouse care that my iPad is JailBroken? I was pissed. But my anger was quickly subdued after a quick search on the web. xCon to the rescue! My app made the list! Loaded the BHTV app without a hitch. As you can see from the top bar, where the time is, my iPad 1 is still Jailbroken. As I always say, "If it is man made, it can be man unmade!". Thanks xCon! So when you see the following message, "Bright house TV is not supported on "Jailbroken" devices. Please restore your iPad to factory defaults, then reinstall Bright House TV", you can say "Whatever!". There is a fix for this issue, go get the only xCon that can help you with this problem. Now I have to get back to my show - I'll see you on the web!